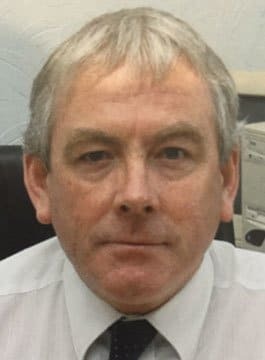 Bill Wyllie is the former Head of Security and Business Continuity Manager at the Bank of England, and former Head of Security of MBNA Bank EBL. He is a Durham graduate who, after reading for a degree in philosophy and politics, had a first career as a military intelligence officer, in which role he spent 17 years on operational duties around the world. Bill Wyllie subsequently spent 6 years in oil industry security roles in the Middle East (he is an Arabic interpreter) followed by 6 years as an independent consultant. After a further 6 years in the financial sector, Bill has now returned to risk and security consultancy work. To date, he has worked in more than 30 countries, and has a strong interest in strategic corporate security issues, as well as hands-on skills in a wide variety of practical security applications. In the past year, Bill Wyllie has worked on a number of high-level tasks. These have included the oversight of the design of the business continuity strategy for one of the Middle East’s largest asset-holding companies, and the “roots-up” re-structuring of the security protection of the Ministry of the Interior and its operations in a global-power state. He is also a visiting lecturer at the Dubai Police Academy. In 2009, he received the George van Schalkwyk Trophy for his contribution to the professionalisation of security. Bill Wyllie is a Certified Protection Professional (CPP), a Fellow of The UK Security Institute (of which he is also the Immediate Past Chairman), and a Fellow of The Security Institute of South Africa. He is also a Freeman of the City of London. Bill Wyllie has been the external examiner for the security degrees of MA and MSc, and has acted as an advisor to several academic institutions. He has lectured and written widely for many years, and is the author of the books The Millennium Security Manager, A Guide to Security Surveys and (with Steve Collins) Rules for Dealing with an Armed Robbery. The importance of a strategic approach to corporate security. International travel – risks and solutions.